We believe the Bible is the inspired Word of God and the final authority for any questions regarding our faith and practice. Our salvation comes through Jesus Christ. Humanity separated himself from God through sin. God sent His Son, born of a virgin, to pay the price of our sin through His death on the cross. God's grace allows us to spend eternity with Him, as long as we confess our faith in Him and believe that Jesus died on the cross for our sins. Jesus Christ was crucified, died, and buried. He rose from the grave. In the process, He conquered death, sin, and our enemy, Satan. He now lives in Heaven with God the Father. Jesus Christ will return to earth one day and will take all those who confess and believe in HIm back to Heaven with Him. Those who do not confess and believe will be sentenced to Hell, to experience eternity separated from God. We are called and commissioned by Jesus to tell everyone we know about Him, His plan for salvation, and to obey God's Word, the Bible. 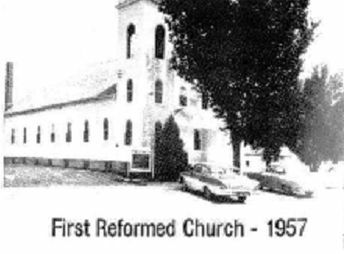 The history of First Reformed Church is what makes us who we are today, so we embrace our past as we look forward to the future and what God has in store for us. 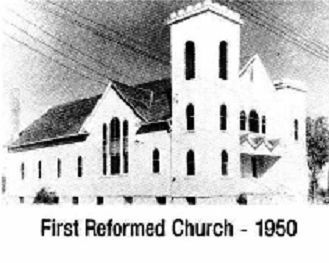 Included below is a brief history of our church. In July 1913 six families expressed a desire for a Dutch worship service in Sibley. 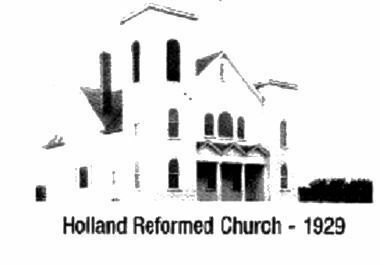 Trinity Reformed Church opened their doors for such a service until the First Holland Reformed Church was organized on October 27, 1913 with 30 members. Throughout our history we have had 26 pastors serve our congregation. Our current membership sits around 350 members with a rough weekly attendance of 300 with both of our services. 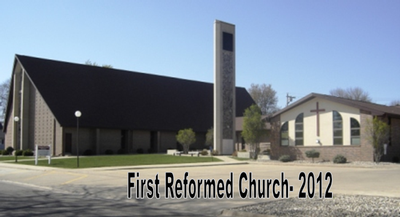 In 2013, we celebrated our 100th Anniversary as a congregation. We are thankful God has blessed us with 100 years and will continue to serve Him until He returns!